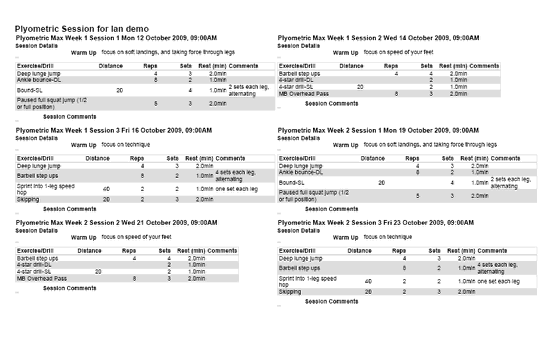 The printing button allows you to print off reports across multiple types of data, or multiple sessions to show an athlete a weeks training plan. #6 Customisations: customisations allow you to add in extra columns into a form that has a table in it. 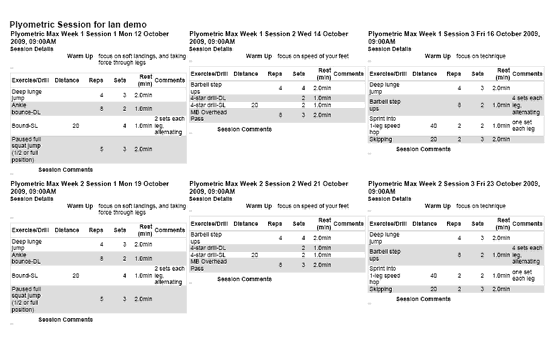 For example, when you print off training programmes such as plyometric or strength session and you want athletes to record reps and sets, it will create a blank column for the athlete to enter this data into. #8 Page format: choose from Landscape or Portrait. 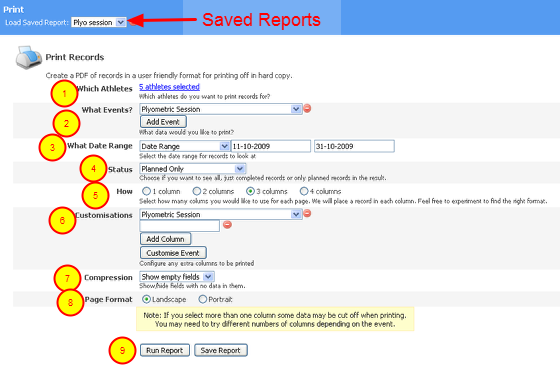 If you select "Save Report", you will need to name it and it will be available on the Saved reports drop down list at the top of the printing page. Click the Print.zip link and a pop up window will appear asking you to open the .zip file with an appropriate programme. Click on the programme name and then click the "OK" button.